Between them, they boast four Commonwealth Games medals from the last two championships staged in Delhi and Glasgow. 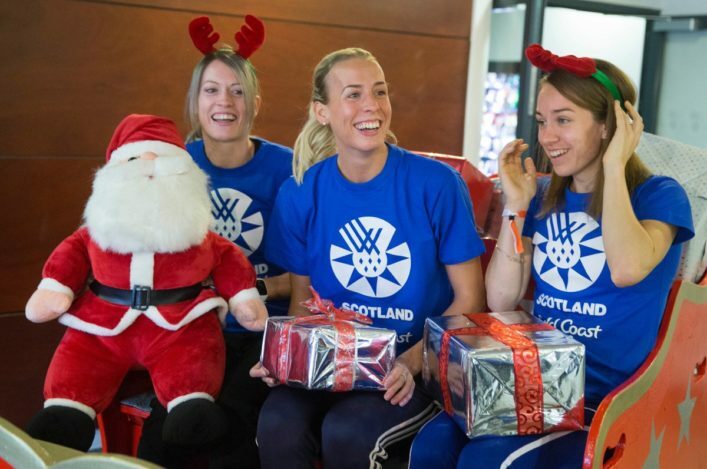 And now the experienced trio of Lynsey Sharp, Eilidh Doyle and Steph Twell are ready to savour another experience at Gold Coast 2018 as they represent Team Scotland in Australia. 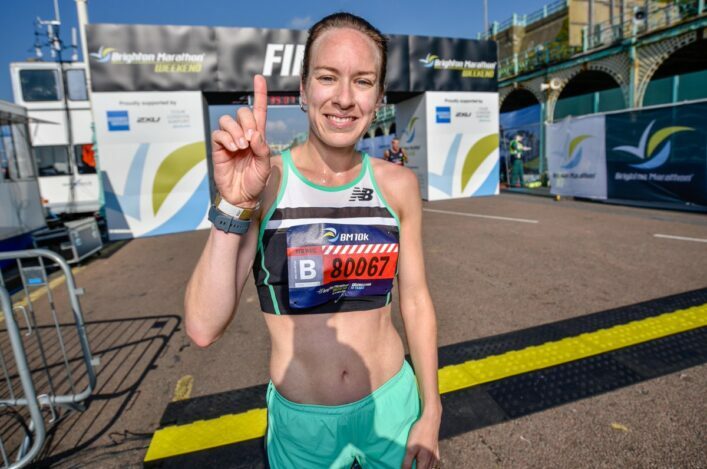 For Doyle and Twell it will be a third appearance at the Commonwealths while for Sharp it will be her second, and a first outside of these shores after winning silver in the 800m at Hampden back at Glasgow 2014. The Commonwealths mean a great deal to Lynsey’s family, of course, with dad Cameron having won medals and mother Carol also having appeared at the Games for Scotland. We’ve Olympians there plus also a few who didn’t make it to Hampden but have stepped up a level,’ said Lynsey. 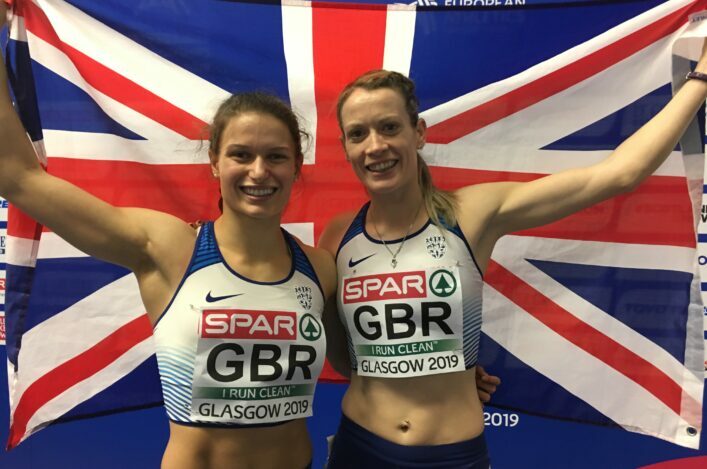 ‘And I am excited about the 4 x 400m relay – I think with Zoey (Clark) and Eilidh (Doyle) having performed so well at the World Champs in the relay then we had to go for it and I just hope I can get in the team for the final. ‘The Commonwealths mean a lot to the Sharp family – with my mum and dad both having competed. ‘I’d never miss it. It might not be the most important globally, the Olympics or Worlds might well be seen as more important, but for me there’s family history attached and a lot of memories and emotions from Glasgow and I want to see if I can create some more. ‘I spoke to my coach, Terrence (Mahon), and we decided that to try and aim for three big events – the World Indoors, the Commonwealths and the Europeans – in the same year might be too much to ask. Double Olympian Doyle has her sights set on a third appearance at the Commonwealths after taking silver in both Delhi in 2010 and Glasgow back in 2014. 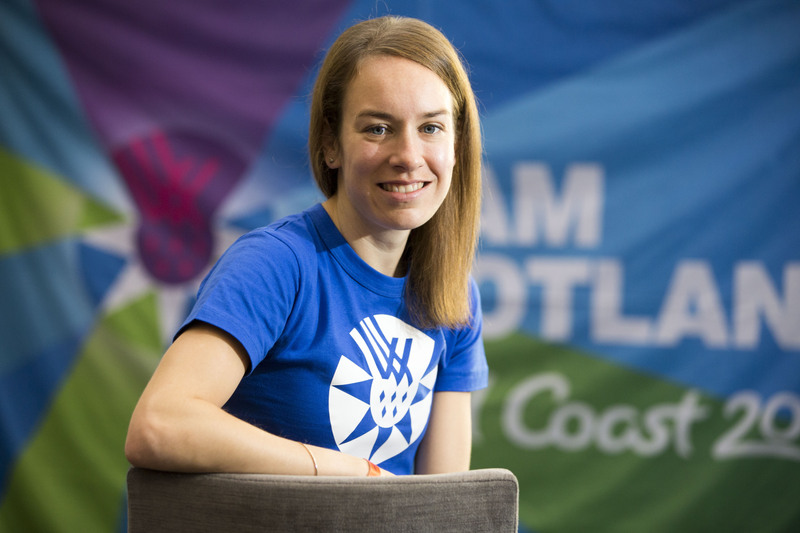 ‘Probably, realistically, this will be my last Commonwealth Games,’ said Eilidh. ‘I don’t know if I will be coming to this four years from now although I do still have the next Olympics as a target. I just take every year as it comes. At the moment, I am just loving my training, loving my sport and I still feel I can run faster. So there’s not any chance of slowing down (my life) any time soon. ‘At the moment I can see myself wanting to go to Tokyo (Olympics 2020) so I see myself still being around for a couple of years still. ‘It still gives me a buzz. To be around each other and see each other again you can feel the excitement, especially the newer ones who are experiencing it for the first time. ‘I remember being here for the launch of the 2014 team for Glasgow and once you get everyone together and talk about it the buzz kicks in so it’s nice to be preparing for Australia. When I think back to Delhi in 2010 it was a totally different case, it was the end of the season, it was in October whereas this one is at the very start in April. ‘It is going to be different to Glasgow because that was such a special games and for me it was such an amazing experience to be able to win a medal and do a lap of honour in front of that home support. 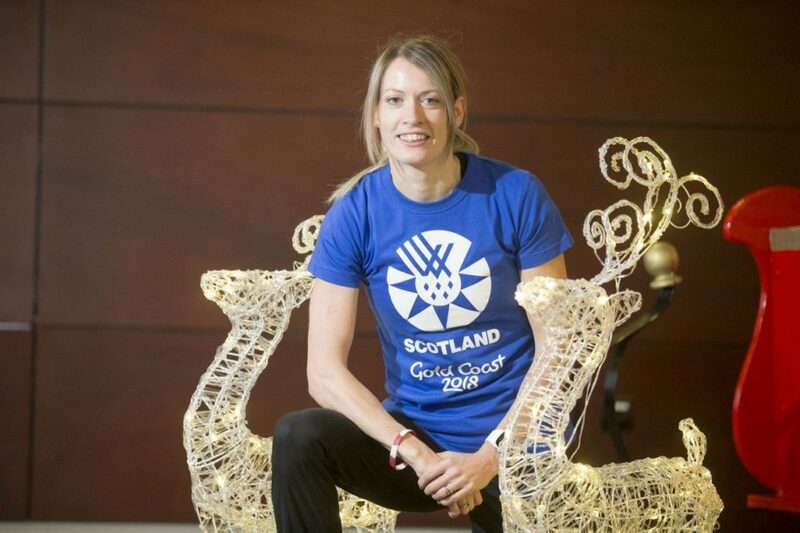 Steph Twell helped GB and NI to another team gold at the Euro Cross event in Samorin in Slovakia and then flew back for the Team Scotland announcement in Stirling. 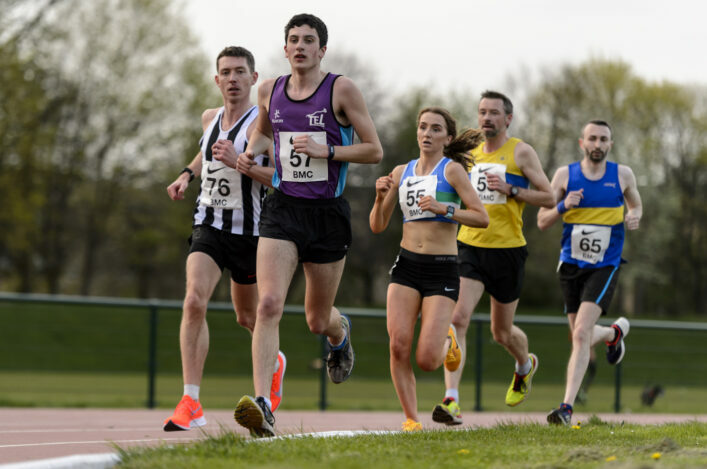 The 5000m runner, whose mother is from Paisley, has always relished representing Scotland and has family members in Australia who will cheer her on at Gold Coast 2018. ‘This is going to be a special one,’ said Steph. ‘It’s another away games – and after Glasgow it’s going to be hard to beat – but I think the team atmosphere, the morale, the quality and the depth we have as a team going out is something really special. ‘It’s definitely a well experienced team which knows that, when we’re together, we can really deliver. Just knowing how to conduct ourselves at an away games will mean we’ll really bounce off each other and will really push each other’s performances on. ‘I think this competition is going to take a bit of special preparation. We all have to go out to acclimatise and that’s not going to be easy and I’m sure there will be a few challenges to get used to the jet lag and the temperature and everything but I think we’ll have the experience which can take us through to make sure we’ll all be ready on that start line. ‘The Commonwealths are special for me. I think the bonds that we have on the team are stronger, we go through the same experiences together, and I think the Commonwealths are just so exciting. ‘It’s your home nation you are competing for and it’s just that strength of knowing you’re there, up for medals. I think that opportunity and that direct value and passion you can run for is very special. I still think it’s as big as a World Champs or an Olympics – that’s why I’m here for my third Games. I think it’s truly special running for your home nation.